Everyone on the Skimbaco team loves Paris without a doubt from Katja’s love of Christmas Markets to Reeta’s enjoyment of site seeing and walking tours. I love Paris as it acts as an artistic hub of the world, and specifically of the fashion world. 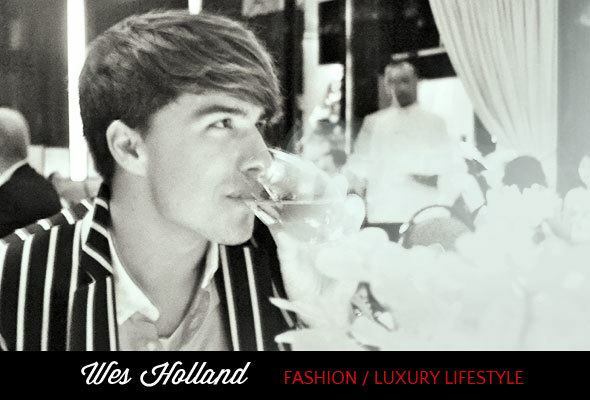 I recently strolled the streets of Paris, enjoying the epicenter of luxury shopping and style. 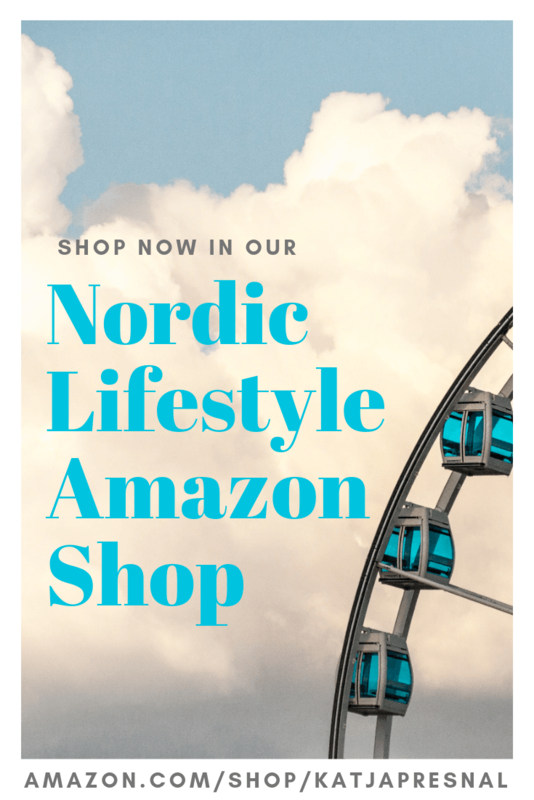 We all have a unique thing that we look for in each city we travel to- the best restaurant, the most famous museum, or in my case, the best shopping. 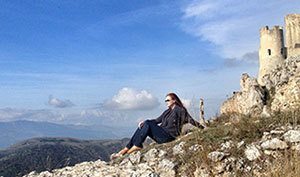 When I traveled to Milan I experienced luxury as a lifestyle in the fashionable Italian city, however, nothing compares to letting one’s self indulge in the fashion and luxury experiences Paris has to offer. 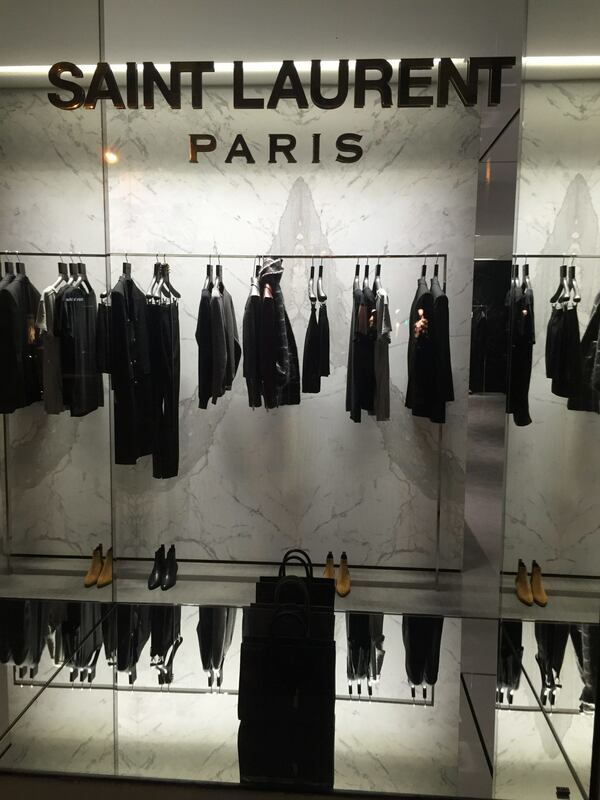 How can you take advantage of the luxury shopping and fashion in Paris? 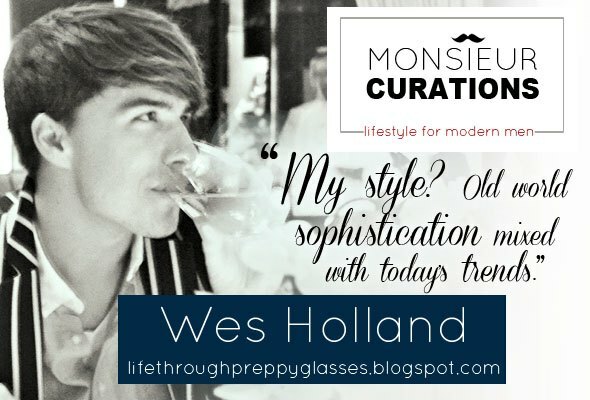 Firstly, one does not need to be able to afford high price tags to get a true Parisian experience. I recommend spending a day walking some of the famed Parisian Streets. If you are on the Rive Droite, start the day at the Pyramid du Louvre and hop onto Rue St. Honoré, the perfect street for shopping, window shopping, and people watching. Spend your day traversing Rue St. Honoré which is home to some of the world’s most famous stores such as Colette Paris, Dolce & Gabbana, and Hermes. Be sure to stand in awe at the line outside of Christian Louboutin’s flagship boutique. 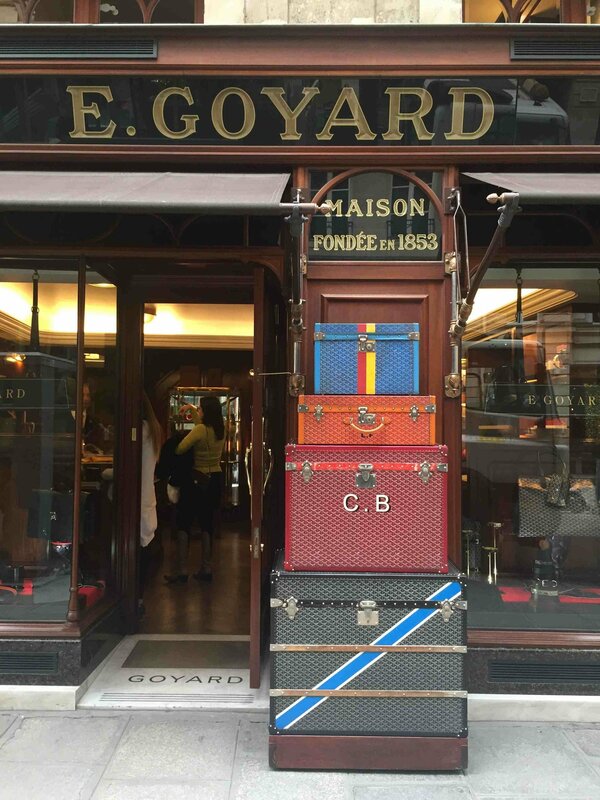 My personal favorite was seeing the global flagship of French leather good designer Goyard. Tip: Looking to get a souvenir or have a luxurious experience at one of your favorite designers without the price tag? Pick up a great coffee table book if you are at Colette or an infamous fragrance at the renowned Hermes store on Rue du Faubourg St Honoré. As an alternative route, start at the base of the Champs-Elysees at Place de la Concorde and walk up the avenue while taking in the sites of this famous avenue. 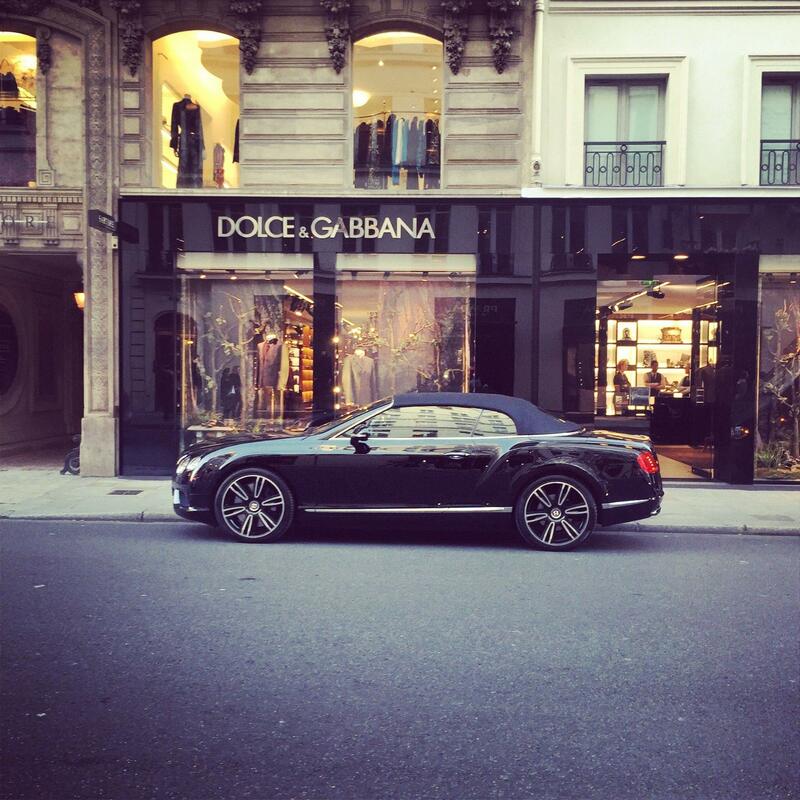 Once arriving at Avenue Montaigne, turn onto what is, perhaps, one of the most luxurious streets in the world. Avenue Montaigne has become home to the most prestigious designers as well as hotels in the neighborhood. 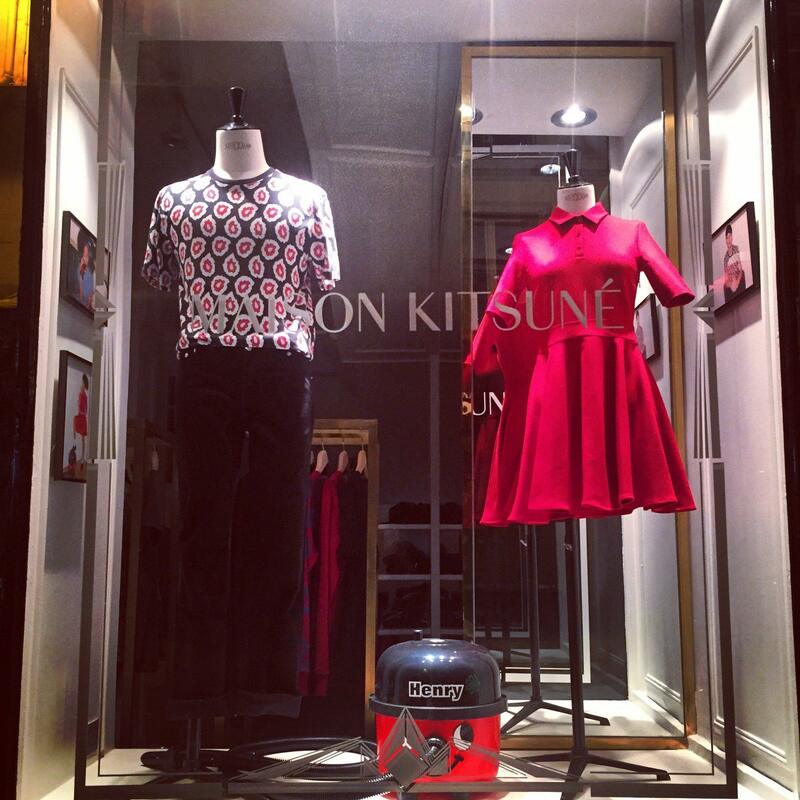 Window shop as you look at the newest lines and window presentations from designers such as Dior, Ralph Lauren, and Gucci. Looking for a fashionable way to end your stroll? Grab a drink at the ultra-luxurious and world famous Hotel George V, on Avenue George V just off of Avenue Montaigne. 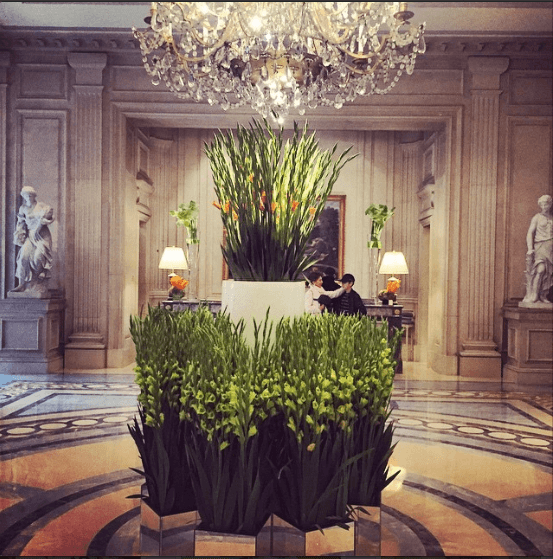 The lobby of this Four Seasons property is always beautifully adorned with fresh flowers daily, and the garden is a posh, serene spot to grab an aperitif. There is just something about seeing the ads printed in Vogue and other publications come to life in Parisian boutique windows. Whether its the sold out Chanel collection on Rue Cambon, or the Tom Ford windows of Rue St. Honoré, experiencing fashion in Paris is quite magical and inspiring. How do you love to experience Paris?